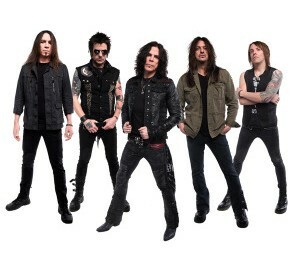 Shortly after posting and subsequently deleting a message on his personal Facebook page that he was no longer with Skid Row, singer Tony Harnell has now posted a message on his “work” Facebook page confirming that he is indeed has parted ways with Skid Row. Harnell‘s message on his “work” Facebook page states: “I’m sorry to inform everyone that I’m no longer the lead singer for Skid Row. I thank the fans for their love and support! 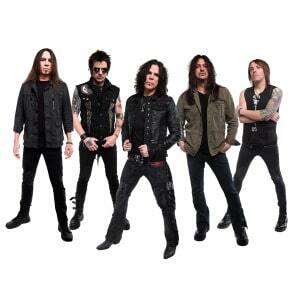 XO TH” No reasons were given by Harnell for the split with Skid Row. This now seemingly paves the way for the much anticipated reunion between Skid Row and their most famous lead vocalist Sebastian Bach. The timing could not be any better with Bach‘s long-time friend Axl Rose seemingly on the verge of reuniting with his former Guns N’ Roses bandmates Slash and Duff McKagan. Who better to handle the opening slot on the Guns N’ Roses‘ reunion tour than Skid Row with Bach at the helm? If Slash and Rose can bury the hatchet to reform as Guns N’ Roses, why can’t Skid Row bassist Rachel Bolan and guitarist Snake Sabo do the same with Bach so that a proper Skid Row reunion takes place at around the same time?